New York Times Bestseller'Fascinating and deeply disturbing' - Yuval Noah Harari, Guardian Books of the Year 'A manual for the 21st-century citizen... accessible, refreshingly critical, relevant and urgent' - Federica Cocco, Financial Times A former Wall Street quant sounds an alarm on the mathematical models that pervade modern life - and threaten to rip apart our social fabricWe live in the age of the algorithm. Increasingly, the decisions that affect our lives - where we go to school, whether we get a loan, how much we pay for insurance - are being made not by humans, but by mathematical models. In theory, this should lead to greater fairness: everyone is judged according to the same rules, and bias is eliminated. And yet, as Cathy O'Neil reveals in this urgent and necessary book, the opposite is true. The models being used today are opaque, unregulated, and incontestable, even when they're wrong. Most troubling, they reinforce discrimination. Tracing the arc of a person's life, O'Neil exposes the black box models that shape our future, both as individuals and as a society. 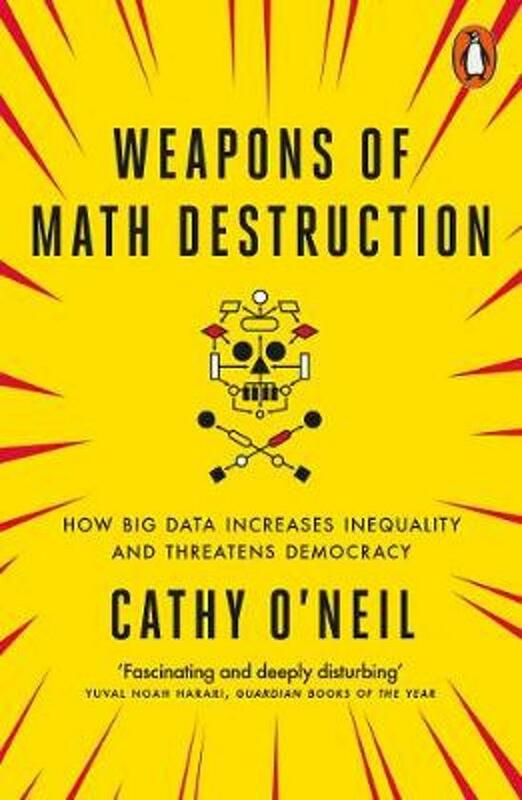 These weapons of math destruction score teachers and students, sort CVs, grant or deny loans, evaluate workers, target voters, and monitor our health. O'Neil calls on modellers to take more responsibility for their algorithms and on policy makers to regulate their use. But in the end, it's up to us to become more savvy about the models that govern our lives. This important book empowers us to ask the tough questions, uncover the truth, and demand change.